On 26 of October, took place the official opening of the Giurgiulesti Health Center after its renovation. The construction works included the installation of a new roof, the renovation of hospital’s wards and laboratory, installation of new flooring, doors and windows, creation of a sanitary room including shower, renovation of utilities, as well as the construction of a new sewage system. 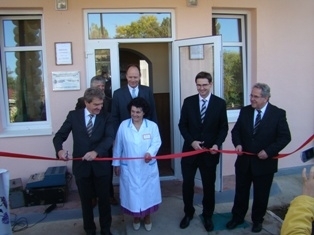 Danube Logistics, the owner and operator of Giurgiulesti International Free Port, donated in excess of USD 47,000 for the renovation of the medical centre and the Red Cross Konstanz (Germany) donated equipment worth in excess of USD 18,000 for the realization of the project. The equipment donated by the Red Cross Konstanz arrives from Germany and consists of an ambulance, medical equipment, specialized medical furniture and many other instruments and materials. 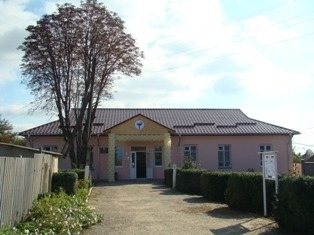 As a result of the project Giurgiulesti’s 5000 inhabitants as well as other people living in near-by villages will have access to significantly improved medical facilities.